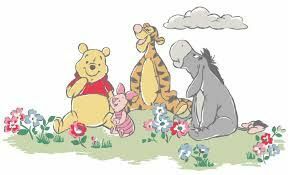 The inspiration for our class name comes from Winnie the Pooh and Friends written by the infamous A. A Milne. The values of the characters in the books resonate with the supportive friendly attitudes we promote in Milne Class. Find out more about Winnie the Pooh and A. A Milne here. "Always remember you are braver than you believe,stronger than you seem, and smarter than you think." -Christopher Robin to Winnie the Pooh.